Nationally Certified Personal Trainers are here to help you achieve your fitness goals! Single sessions, packages and partner training are available. 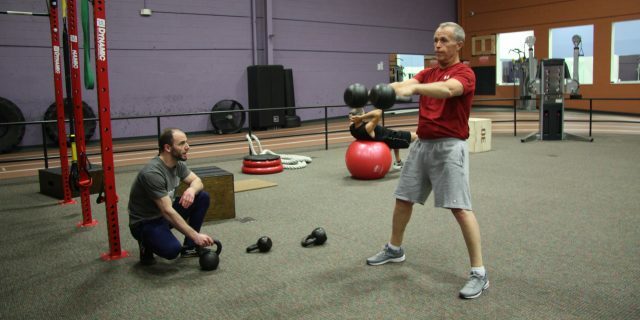 Personal training is a service that is available to all SRC Fitness Center members. Learn more about the personal trainers at Sachs Recreation Center, view their bios here. Has your workout program been ineffective? Do you need to be held accountable to succeed in your training? Small Group Training can help. Program format provides a supportive environment, closely monitoring your strength and cardio training. It’s fun and cost effective. Small Group Training, Individual and Partner Training are offered only for SRC Members.